Chris Brown’s ready to square up with Offset. Offset‘s made it clear that he wasn’t finding any of the memes about 21 Savage‘s arrest amusing. The rapper appeared to put Demi Lovato on blast for saying the memes were the best part of the Super Bowl. However, Offset wasn’t done defending 21’s honor. 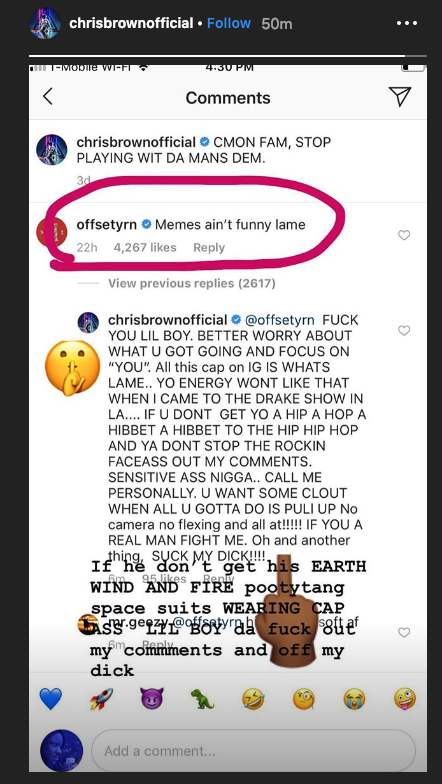 Chris Brown posted a clip of 21 Savage’s XXL Freshman freestyle cypher that was dubbed with Big Shaq’s vocals on “Mans Not Hot.” “Memes ain’t funny lame,” Offset said in the comment section. Breezy clearly saw this and issued his own response to Offset. 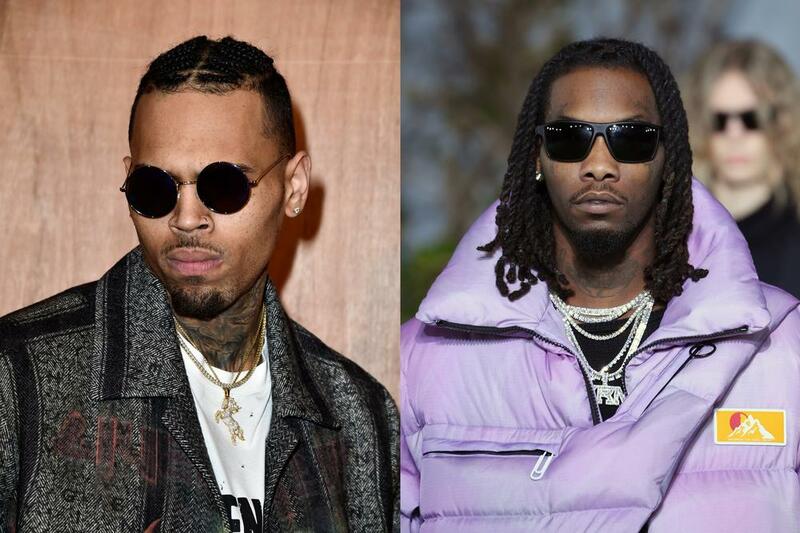 Chris Brown didn’t take Offset’s four-word sentence lightly. In response to being called lame, Breezy issued a lengthy response to the Migos rapper and offered to squabble up. Despite 21 Savage’s birthplace, it’s clear his identity is deeply intertwined with Atlanta.